Now starring in his own Netflix stand-up, the comedian doesn't hold back: Here's what he thinks of the age of Trump. 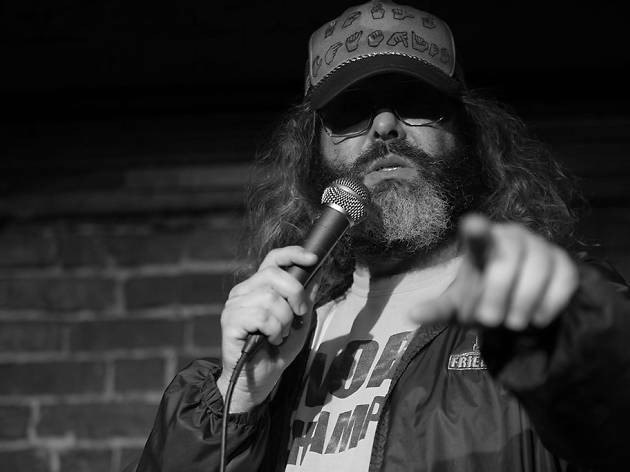 Judah Friedlander is not funny in the traditional, I-can't-believe-he-said-that kind of way. The 48-year-old comedian is funny in a more nuanced, at times even depressing kind of way—and speaking to him over the phone about the current state of politics in America sheds light on the catalyst behind his dually amusing and, well, heartbreaking brand of comedy. Now working on new material for a possible tour while still regularly gigging at New York’s Comedy Cellar at the Village Underground, Friedlander is also the star of his very own Netflix stand-up comedy special, America is the Greatest Country in the United States, in which, as the title sarcastically suggests, he delves into the country’s social, cultural and political identity—an identity that, as the comedian himself is quick to point out, is not necessarily tied to said country’s current President. Although most of his material draws on themes and subjects that have defined the latest American political cycle, Friedlander is right: What he pokes fun at, although evocative of Donald Trump’s own stance on issues, is applicable to the system as a whole and, when analyzed comprehensively, tells the story of a broken structure—as opposed to the story of a broken political actor, free-floating in a sea of functioning governance. Bizarrely enough, although conversations about politics have become some of the most intense, stress-inducing and certainly least fun discussions to be had, the subject begets the most laughs in comedy. Just turn on late night television or catch a local comedy show: Audiences’ cries of laughter are loudest when following a politically-themed joke. Especially when measured against the usual liberal backdrop that engulfs the entertainment industry, Friedlander's own politics—which he discusses freely over the phone—come off as anti-conformist... yet completely logical. In short: Friedlander doesn’t like the binary system that defines our government and doesn’t identify with either political party. His dislike is distributed evenly among the Republican and Democratic factions: “I think [one party is] worse than the other but I think they’re both bad in many ways,” he says. “I don’t really see the Democratic party fighting Trump with ideas. They are just saying: ‘He’s bad, let’s not get him re-elected.’ I think [that] if you’re going to replace somebody that you don’t like, you can’t just think of people to replace him with—you have to think about what ideas are going to replace that person and I don’t think that the Democrats are doing that.” He goes on: “I don’t view the Democratic party as the left wing party. I view them as a right wing party. Not nearly as far to the right as the Republicans, but I still view them as a right wing party.” When pressed for an explanation for his rather unorthodox perspective, he replies: “[The Democrats] are just as pro-war as the Republicans, for the most part. They are pro-Wall Street, they are pro-big banks, they are pro-mass incarceration, they are pro-drug companies and for-profit health care. I think they’re better when it comes to human rights issues as far as women’s issues or anyone-who-is-not-a-white-male issues.” He defines his own views as even more to the left than the liberal party. Which begs the question: Does he think of America as the greatest country in the world? “Even if I did, I wouldn’t say that because I don’t think it’s good to be cocky. And that’s what a lot of my act makes fun of: Making fun of showoffs and narcisms,” he says, mentioning the superiority complex that Americans have, thinking of themselves as icons of a morally accepting and ethnically diverse culture. “This country has the idea [...] that it is the most diverse country, that it’s just a melting pot,” he says. 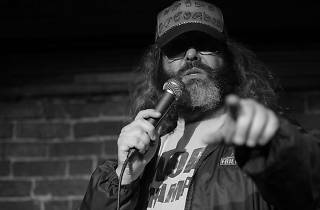 “I think we’re a pot… but I don’t think there’s a lot of stirring up going on within it.” One thing is, at least, certain: For his part, Friedlander is doing as much stirring-of-the-pot as possible both on and off the comedy stage.